The main building is built on a cruciform plan and uses a white Carrara marble which explains its tourist name Marble Temple. 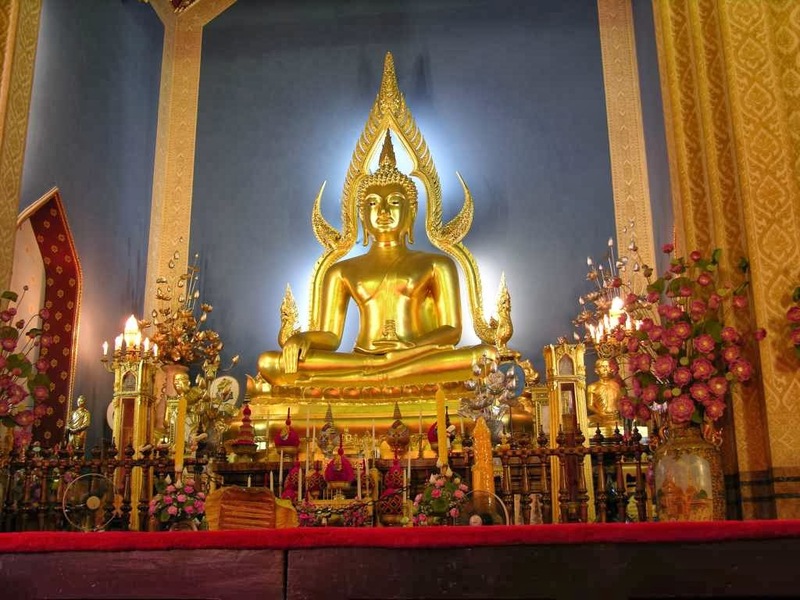 The main statue of the bot is a replica of the famous Pha Buddha Chinaraj whose original is revered in Phitsanulok. 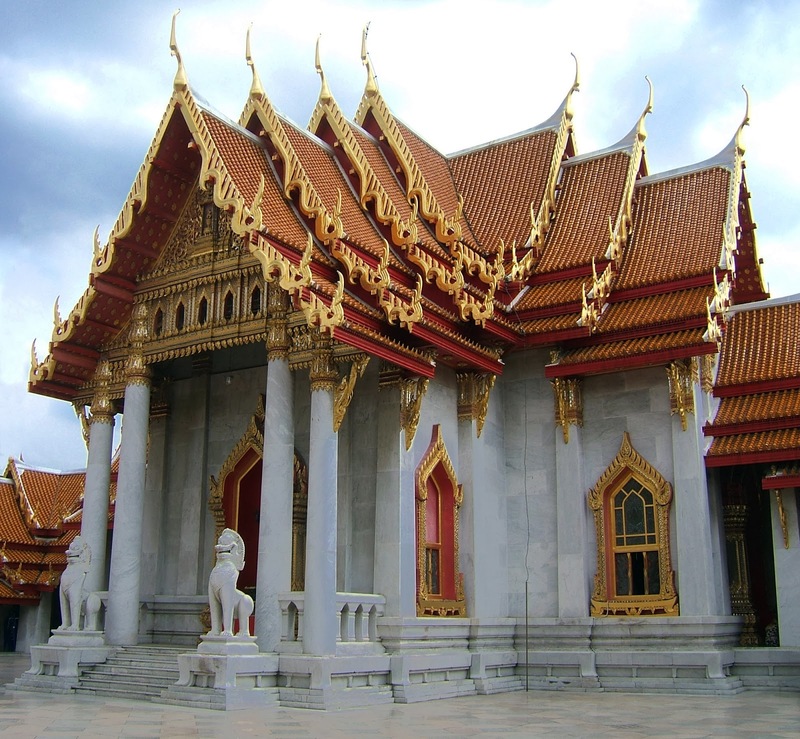 In the base of the statue are encircle the ashes of King Rama V.
Wat also has beautiful gardens and a cloister whose galleries are home to a remarkable collection of 53 Buddha statues from Thailand to illustrate the different styles and attitudes. Thirty-three statues are original, others are copies; foreign Buddhas complete the collection.